In the promo of the upcoming episode of Kumkum Bhagya, we see that Pragya finally warms up to the idea of sending her daughter away. Kumkum Bhagya witnessed a generation leap in a major plot twist recently. The show introduced Abhi and Pragya’s twin girls Riya and Prachi, all grown up and living separately with a parent each. Abhi decides to keep the elder twin Riya and pampers her with the best of everything in the world. 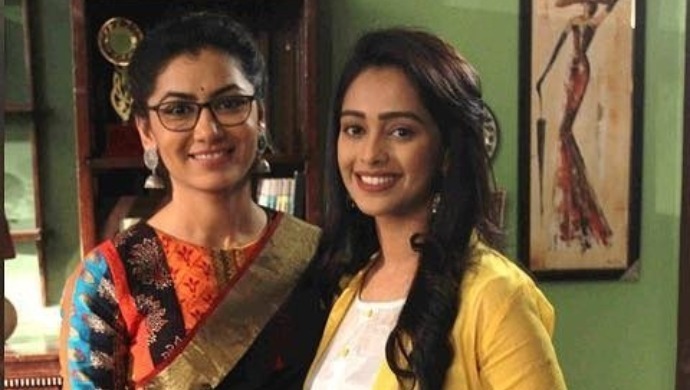 Pragya leaves Delhi and moves to Punjab with Prachi, where she starts teaching in the college her daughter studies at. The latest episode also introduced a probable negative character, who is smitten by Prachi. However, both Abhi and Pragya miss being with both their daughters and wish to cross paths some day. In tonight’s episode, we saw Prachi getting an opportunity to study at a university in Delhi. But this makes Pragya anxious, who is still hung up on her past and is anxious to send Prachi to Delhi, as Abhi resides in the city. The episode ends with Dadi convincing Pragya to let go off her hang ups and allow Prachi to go to Delhi. Watch the sneak peek of the latest episode here. In the promo of the upcoming episode, we saw Abhi talking to his daughter and pampering her, as usual. On the other hand, we see Pragya finally coming around the idea of sending Prachi to Delhi. She in fact even says encouraging words to her daughter about how she should follow her dreams. Will Pragya finally agree to send Prachi to Delhi? Stay tuned for all the updates here!